The 2018 growing season gifted us with a frost-free spring, relieving us of those usual opening season jitters. However, the season then progressed with rainfall occurring above the usual norms, adding mildew and rot anxieties to the watch list. The grapes intermittently basked in 80 – 90 degree plus temperatures for a whopping 72 days, converting all that rainfall into persistently high-humid conditions. In order to maximize sunlight and airflow into the canopy and minimize berry damage, our vineyard team kept the grape clusters exposed by positioning shoots, pulling leaves and knocking back the ever-present weed growth. Our efforts paid off with a fully-mature, on-schedule harvest, and only a minimal amount of sorting required. 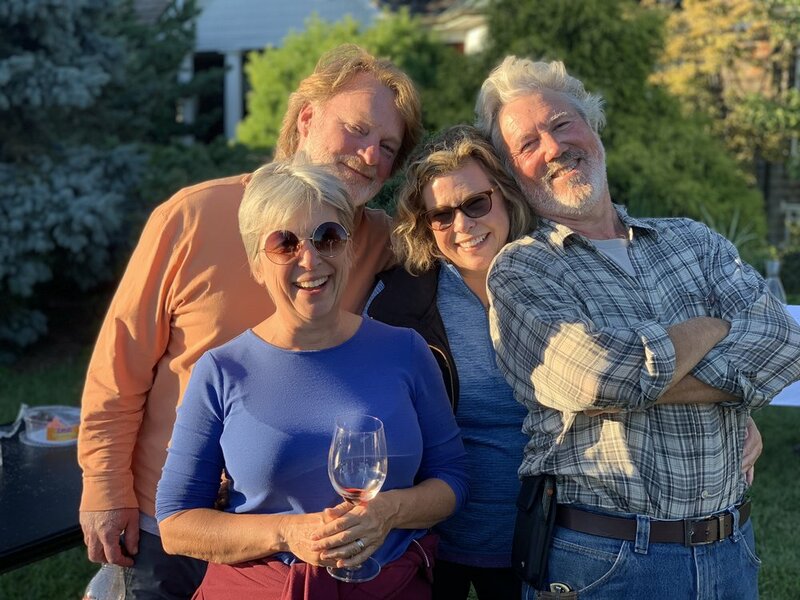 Harvest began in the Pinot Noir at our home estate on September 22, with our second annual customer participation extravaganza. Invitations were sent out and our quota of helpful hands was quickly reached, forcing us to close the invite to all newcomers within the first few hours. Some 40-strong beloved volunteers straggled in over the early morning hours, and after a lunch break, finished picking the entire block - well before we had anticipated! By then, Daun’s kitchen crew had begun the service of an outstanding dinner of Coq Au Vin, buttery smashed potatoes, haricot verts, and lentils with fungi and wild rice. We toasted in the new vintage with glasses of Jean Charles Boisset’s lovely 100% Pinot Noir Cremant de Bourgogne Rose, and I raided the Wyncroft library to open 3 liter bottles of the 2002 and 2004 Avonlea Vineyard Pinot Noir. Both wines were in prime condition and every drop was savored. Harvest continued over the next 5 weeks. 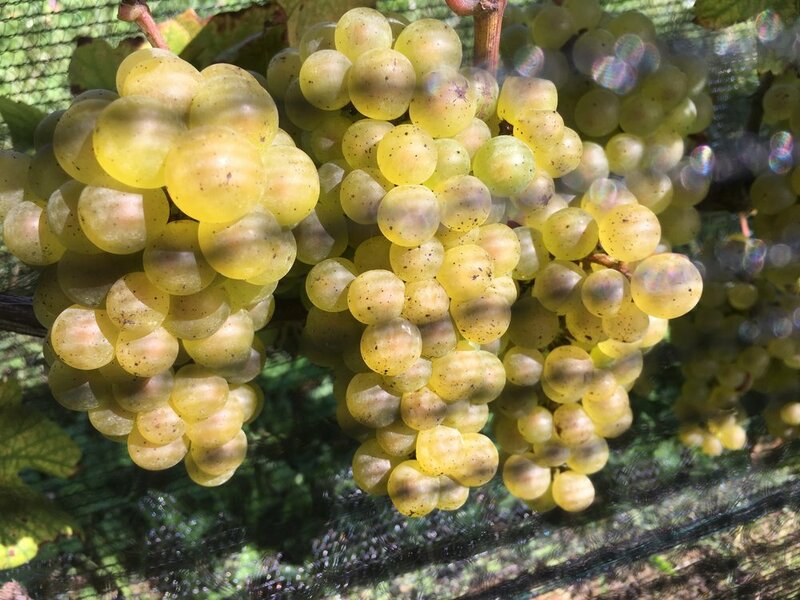 The Sauvignon Blanc was picked at 23.7Brix, .72TA, 3.13PH, and by then had developed about 30% botrytis that should impart a honeyed/peach aspect to the wine which we’ll later blend with the modest crop of Semillon that is now fermenting nicely in a “once-used” acacia wood barrel. The red Bordeaux varieties; Cabernet Sauvignon, Merlot and Cabernet Franc, reached peak ripeness, (22.6 – 23.4Brix) and already show great promise from the froth of the fermenting boxes. As the juice turns into wine, it’s showing off an opaque red-violet color with gripping tannins and an underlayment of earthy flavors. Avonlea planted in 1989 is home to our oldest vines, and Pinot Noir, the stalwart of this vineyard, is comprised of mostly Dijon clone 777, Pommard 4, and Wadenswil 02A. 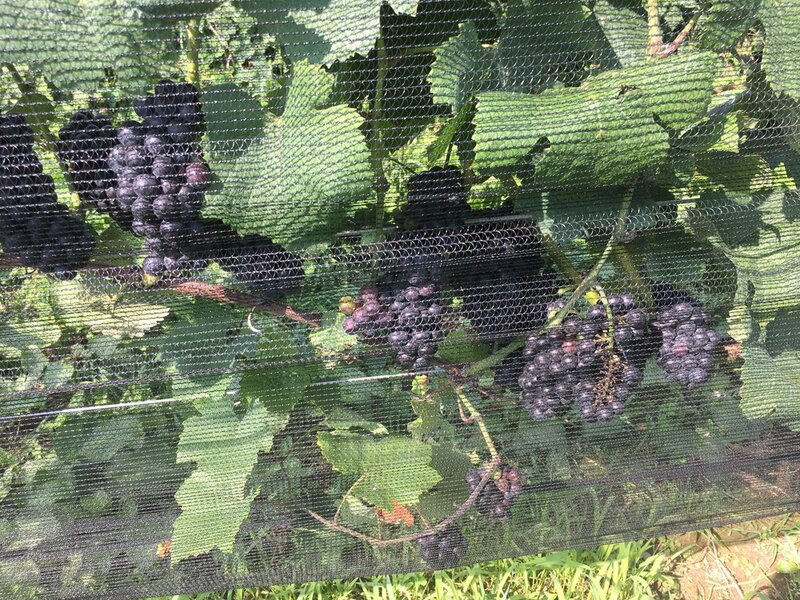 Safely netted from the schemes of the wily wildlife, these vines yielded enough beautiful fruit at 22.7Brix, .65TA, and 3.22PH to fill about 3 barrels. 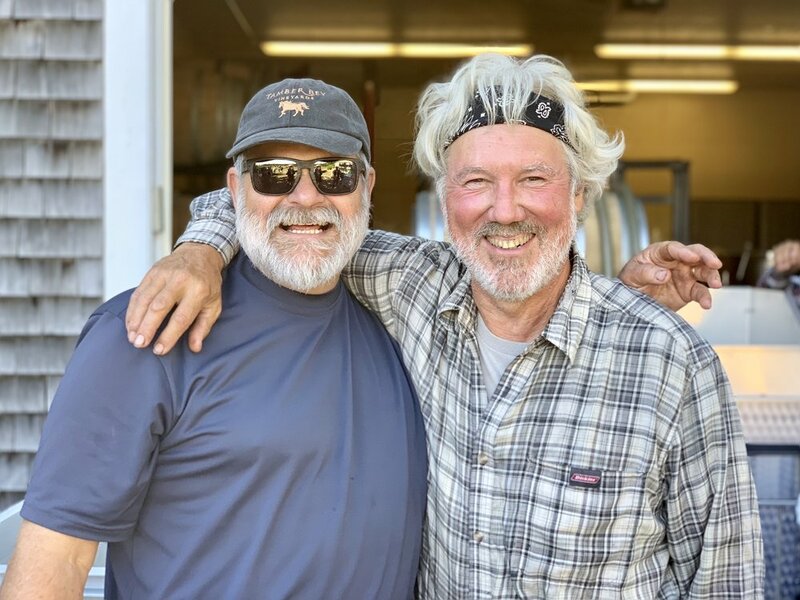 Because extensive re-planting of the Chardonnay in our Avonlea vineyard has been underway since the damage wrought by the Polar Vortex winters of 2014 & 2015, we were particularly pleased to harvest enough grapes off of the remaining old Stony Hill clone vines, giving us enough juice to fill just two barrels. Coming in at 22.7Brix, .65TA, 3.23PH, we expect a very classy wine to ensue. These old vines have been the source for what is arguably Michigan’s most talked about wine; Wyncroft’s barrel-fermented Chardonnay. (Chef Grant Achatz is currently selling the 2012 vintage of this wine at Next restaurant in Chicago, paired with one of Alinea’s “retrospective” dishes). We captured a tiny amount of the Cabernet Sauvignon that had been netted, but were sad to see our single row of Petit Verdot go to the birds – literally! Lastly, we rescued a small amount of fruit from the old Colmar clone planting of the Riesling at Avonlea, the rest of the block fell prey to wild turkeys and rapacious raccoons. Increases in predation from the abundant wildlife in the vicinity of Avonlea, will see us installing many more rows of netting next season as we continue the rehabilitation of this historic vineyard. We plan on releasing the limited amount of dry wine produced by this 2018 Riesling to our "loyalists" only. (See note below). (Teaser: Watch for a post-New Year announcement about a Wyncroft Wine Club formation). Use code "2018" to receive free shipping until 12/31/18. BUY NOW.